Tracie McBride has been creating tempered glass mosaic since 2014. Transitioning from creating polymer clay tiles​ and unique mosaics to incorporating tempered glass into her work. Working with tempered glass and other glass objects has become a passion and main ingredient in her mosaics. For the past year she has been exploring the colorful art for of epoxy resin. Moving from fine art pieces to functional art and countertops, tables and home decor. Living in Idaho feels most like home after years of travel. The low-key and friendly atmosphere of the Treasure Valley community is what she loves most. It's easy to connect and make new friends continually. Idahoans love their state. 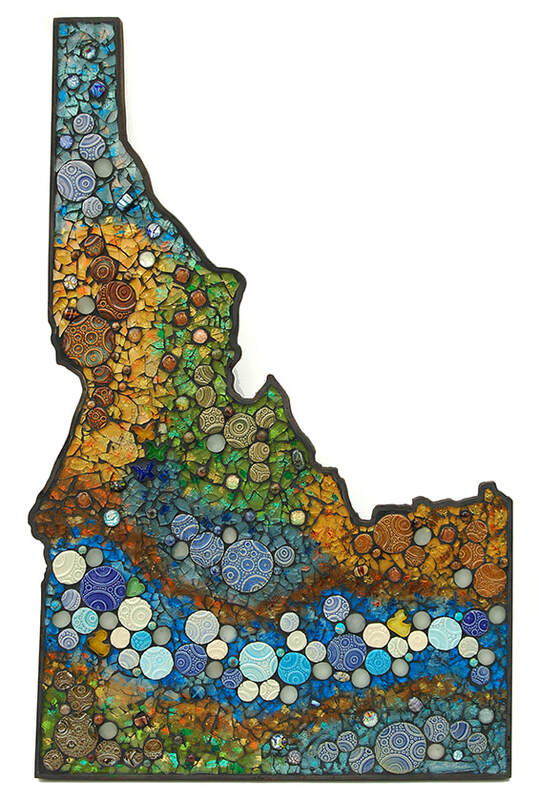 Mosaic Idaho's are a popular icon for Tracie's work.